Wood is an old ally of cozy lighting. It is a material that is hard to mold, a challenge that the Ginger collection neatly resolves. The combination of sheets of wood and paper pressed together under high pressure achieves a laminate that appears almost entirely flat, which discreetly lights up spaces with indirect light. 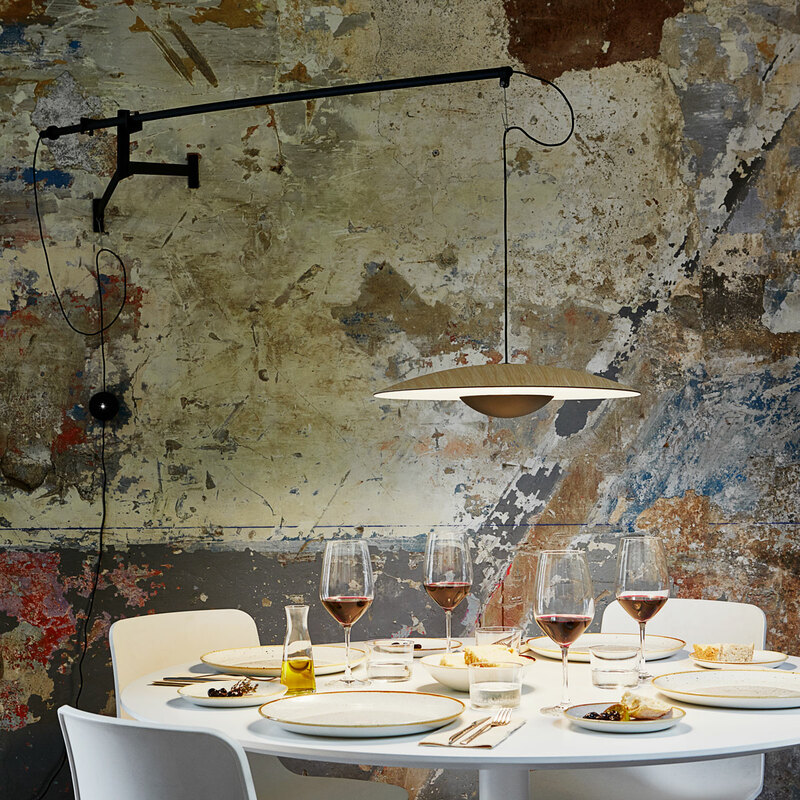 The Ginger collection has been expanded to include larger table and pendant versions, standing versions with movable arms, an unobtrusive wall lamp and another wall version with movable arm. This adjustable wall lamp with a movable structure holds the lampshade and offers a free movement from one side to another, bringing stability to the whole.